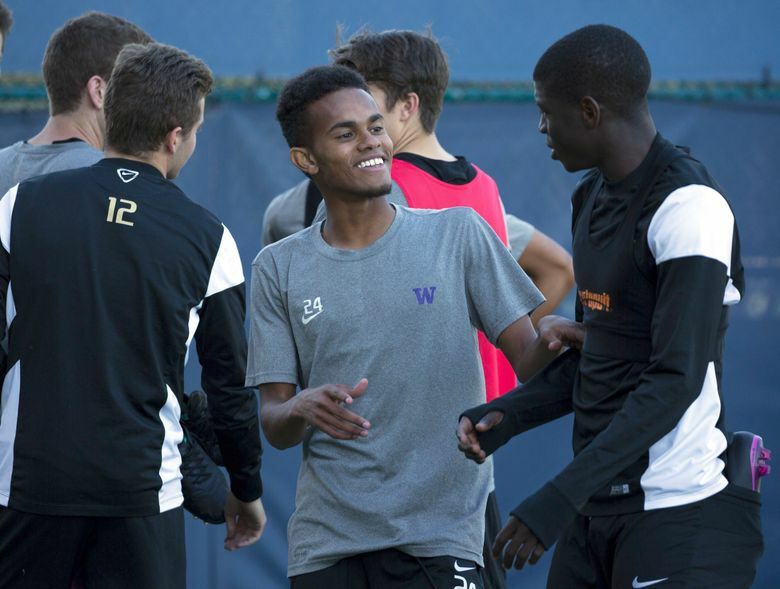 Former University of Washington Huskies scoring star Handwalla Bwana has been signed by the Sounders to a professional contract as a Homegrown Player and will report to the team's training camp later this month. Continuing their pattern of adding University of Washington Huskies standouts in recent years, the Sounders on Thursday announced that Kenyan-born midfielder Handwalla Bwana, 18, has signed a Homegrown Player contract with the team and will report to training camp later this month. The former refugee from Mombassa spent the past two seasons with the Huskies touted as one of the most under-the-radar recruits in the nation and perhaps the best young soccer player to come out of the Seattle area. That’s saying something, for a city that’s already produced Mercer Island native and Sounders striker Jordan Morris, along with DeAndre Yedlin, the Shoreline product now plying his trade for Newcastle in the English Premier League. Bwana only came to the United States in 2010, after six years at the Kakuma refugee camp in northwest Kenya. The camp, established in 1969, is one of the world’s biggest, harboring refugees mostly fleeing wars in neighboring countries. Bwana’s family, who are Muslim, had gone there from Mobassa as religious refugees in Christian-dominated Kenya seeking a better life and hoping to eventually land in the U.S. The Ballard High School product joined the Sounders youth academy in 2015, then debuted with the Huskies in 2016, winning Pac-12 Freshman of the Year honors that season. Bwana tied for the team lead with four goals and finished with a team-best seven assists and 15 points. Last season, he finished second in Pac-12 scoring with eight goals and 22 points. Bwana joins a Sounders team that already has former Huskies midfielders Cristian Roldan and Henry Wingo in its ranks. He’ll likely start the season with the Sounders2 franchise of the United Soccer League, though — as Wingo did last year — could see time with the big club if he impresses at training camp.